Wow!! 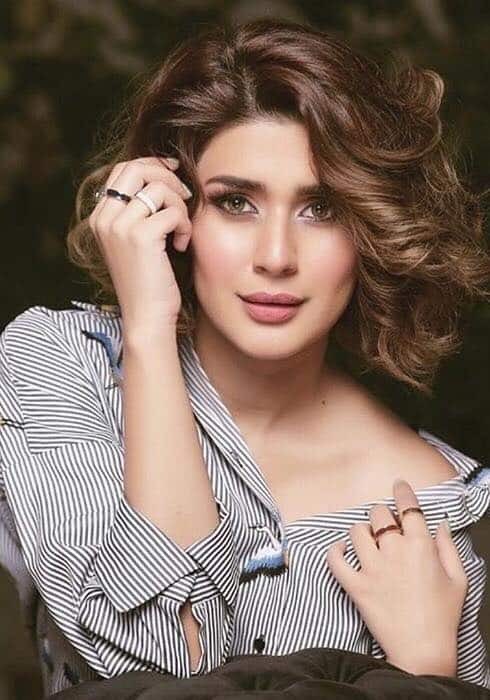 Kubra Khan Has Never Been This Blunt Before! Kubra Khan was invited to Mazaq Raat show with rest of the cast of Jawani Phir Nahi Ani 2. Vasay Chaudhry’s questions were interesting and the honesty with which everyone answered these questions made them even more so. Kubra Khan’s bluntness and spontaneity was something new for us. Most of times celebrities avoid answering questions which involve other celebrities but Kubra proved that she has no problem answering such questions. Kubra Khan spoke her mind without being diplomatic and we loved that about her. When the host Vasay Chaudhry asked Kubra whose call she would answer immediately, which celebrity’s call she will not answer but will message as a reply and which actresses’ call will she reject and even turn her phone off. Kubra did not take long to answer the question. The options were 1. Mehwish Hayat 2. Urwa Hocane 3. Sajal Aly. Kubra replied that she will attend Urwa’s call, message Mehwish and reject Sajal’s phone call. Vasay Chaudhry also asked Kubra Khan which celebrity will she marry, friend zone and ignore. He gave her these options 1. Shehryar Munawar 2. Hamza Ali Abbasi 3. Ahad Raza Mir. She immediately said that she will friend zone Hamza Ali Abbasi and ignore Shehryar Munawar! She decided she would much rather kill Ahad Raza Mir than choosing the marrying option! She apologized to Ahad and we loved her overall attitude!